“At first, I was skeptical when originally ordering the accounting policies & procedures based on prior purchasing experience of similar types of literature. 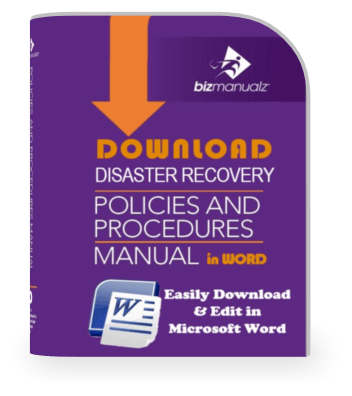 When I received the manuals, I was very impressed with the detail and vast coverage of the topic. My superiors were impressed with the immediate results. Given the fast paced environment we live in today and the various responsibilities management is held accountable for, these manuals provide a convenient means of establishing very detailed processes within a fraction of the time it would take to perform from scratch. 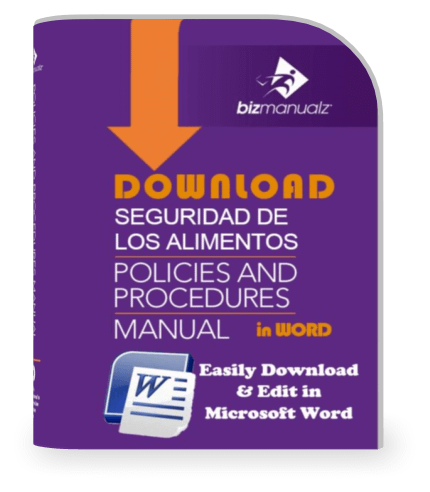 Are You Looking for a Policies and Procedures Manual for Accounting and Financial Internal Controls? 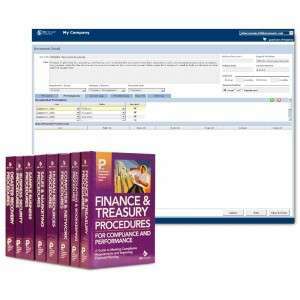 The essential set of financial accounting internal control procedures manuals provides a comprehensive collection of fast, easy, and fully editable business templates that any Chief Financial Officer (CFO) or Controller can turn to for business best practices. Why start from scratch when you can have thoroughly researched, prewritten content at your fingertips? 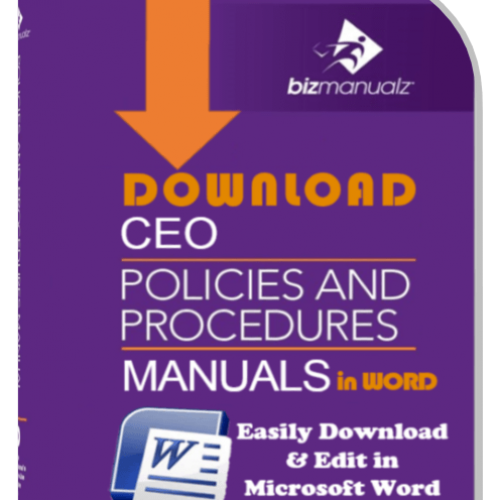 This set of five downloadable policy manuals includes all the financial accounting policies, procedures, and forms that you need as a CFO or Controller to establish strong accounting financial controls and manage your core accounting processes. 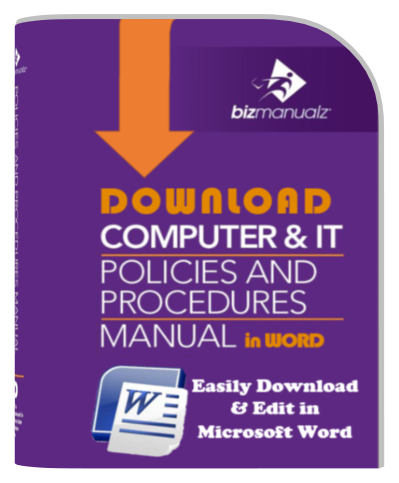 Your download includes five MS-Word procedure manuals covering accounting, finance, computer & IT, human resources, and general business. 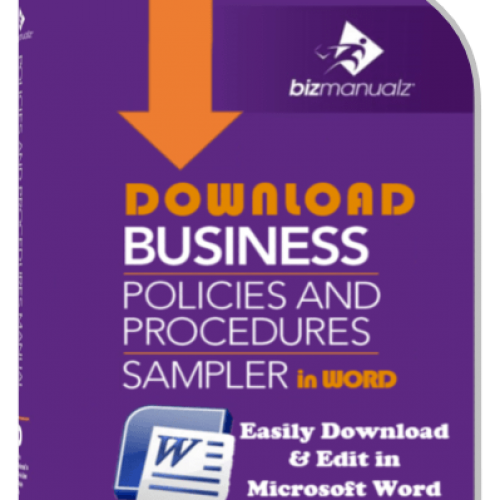 Written by experts in the field, you will receive easily editable Microsoft Word format templates you can customize to fit your specific needs and you will enjoy a bundle discount of 35% off the list price too. 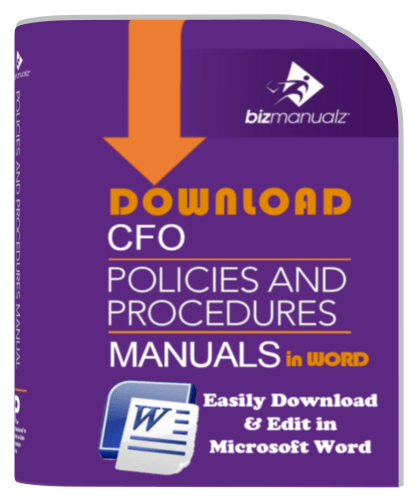 Download free sample procedures from each of the five manuals in the CFO Financial Accounting Policies and Procedures Manual. 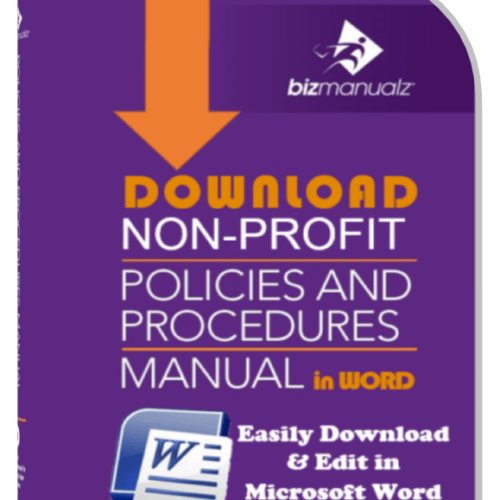 View the table of contents from each manual, receive sample Word templates, or download PDF files. A financial accounting policies and procedure manual is widely recognized as an essential component of internal controls. The CFO Series includes everything a controller needs to build strong internal controls in accounting or update your existing financial accounting process documentation. Your financial accounting processes are critical business processes that impact your financial compliance with commonly established GAAP or IFRS best practices, or legal requirements like Sarbanes Oxley (SOX). The terms financial accounting policies or accounting procedures encompass a much broader context than simply receipts and payments. Think of the accounts receivable process, accounts payable process, revenue recognition process, and financial capital process. What about banking, cash flow, and financial statements? Or tax accounting, costing, compliance, assets, and auditing? It’s a lot for any controller or busy CFO with responsibilities. The term “financial accounting” encompasses more than the traditional “dollars and cents”. It includes areas ranging from human resources (payroll, benefits, etc.) to computer information transaction integrity. So, since procedures on counting income and expenses are only a part of what makes up accounting, what do you include when you are designing a financial accounting policies and procedures manual? We mentioned four key Bizmanualz products to strengthen your internal control: Accounting controls; Financial controls; Human Resources controls; and Computer & IT controls. 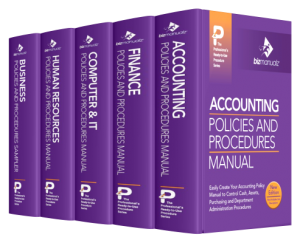 If you purchased these separately, they’d cost $2,380…but all of these accounting processes and their associated practices and procedures are included in the CFO Financial Accounting Procedures Series for only $1,995! Plus, you receive the Bizmanualz Business Policies and Procedures Sampler for free when you purchase the bundle! The Business Procedures Manual includes 111 additional business procedures for many general business areas. This five-manual series address the ten core accounting processes needing internal control that all controllers need to pay special attention to. You will be able to implement policy controls with example accounting procedures for critical accounting and financial processes that form the core of your internal control system. Internal Control Examples include: cash disbursement, production, financial reporting, finance, asset, purchasing, internal audit, strategic planning, payroll, and information integrity. Implementing accounting internal control procedures has never been easier. The CFO Financial Accounting Policies and Procedures Series will provide a boost to your accounting compliance management process, and will help you prevent waste, fraud and abuse. Implementing an internal control system is a fundamental requirement for compliance with Sarbanes Oxley Section 404. Both the Securities & Exchange Commission (SEC) and the Public Company Accounting Oversight Board (PCAOB) point to the COSO publication “Internal Control – Integrated Framework” as an example of internal control that meets SOX requirements. 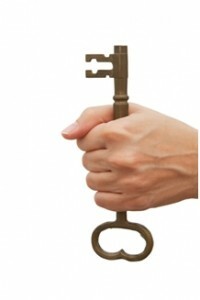 COSO describes developing accounting internal control procedures as a key control activity. 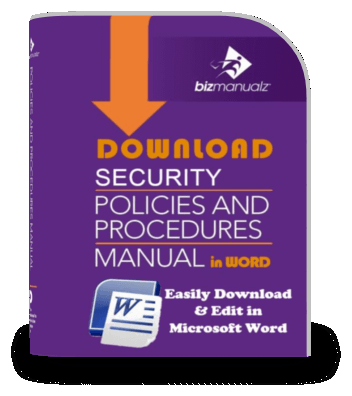 Your download will include: internal controls in accounting, sarbanes oxley compliance procedures, sarbanes oxley compliance checklist, controls for embezzlement, risk assessment, risk management, SSAE-16 compliance, and more. The CFO series includes five manuals that are based on standard accounting practices. The thoroughly researched financial policies and procedures are written by experienced technical writers, reviewed by accounting experts, and are delivered in a professional format. Together, they will help you address the key areas of concern within a financial compliance framework like Sarbanes Oxley. Download Editable Financial Accounting Policy Procedure Word Templates Now! 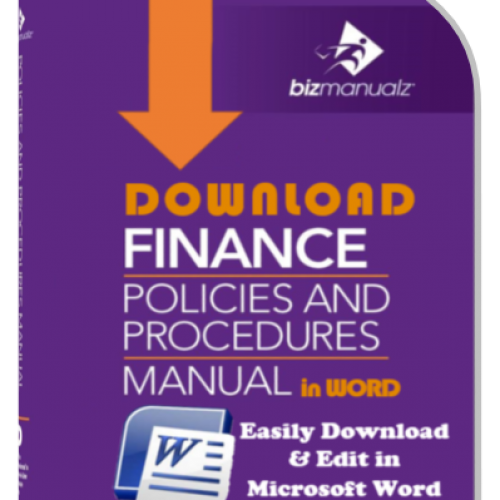 With your purchase of the CFO Series, you will get a wealth of CFO financial policies and procedures template as easily editable MS Word files that are instantly available via download. You can easily edit, change, and adapt the financial procedures to meet your specific requirements, operational needs, and the unique circumstances of your organization. Download free sample accounting management policy procedures from each of the five manuals in the CFO Financial Accounting Policies and Procedures Manual. You will also get the table of contents from each manual. Or, if you are ready to buy now, you can place your order using our secure server and you’ll be able to download immediately. With our money-back guarantee, your purchase is risk-free! 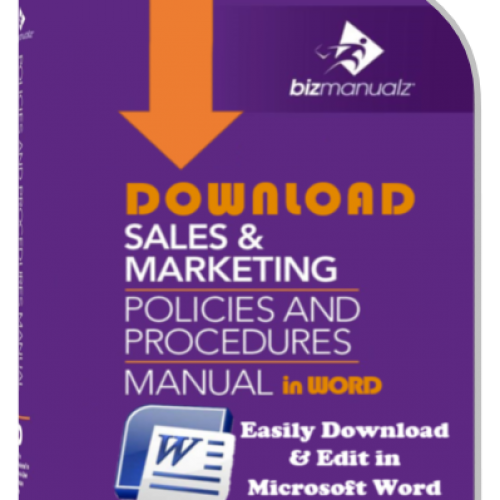 These great manuals are an excellent tool for any kind of business. 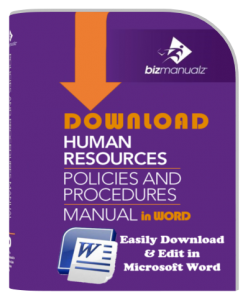 They provide all the fundamentals needed for successful companies to manage with the recent and most modern professional manuals. I am really impressed with the manuals I purchased. They each provide a wide and very complete list of information on each topic that I needed plus so much more! I was able to immediately start using the manuals in my bookkeeping and consulting business. It was seamless and that was extremely important to me. In addition, the price was very reasonable. 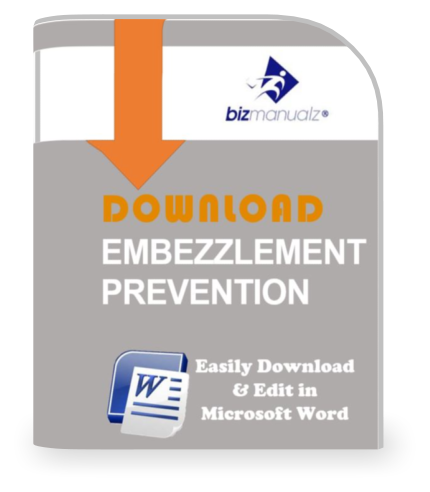 I will definitely recommend Bizmanualz whenever the opportunity arises. 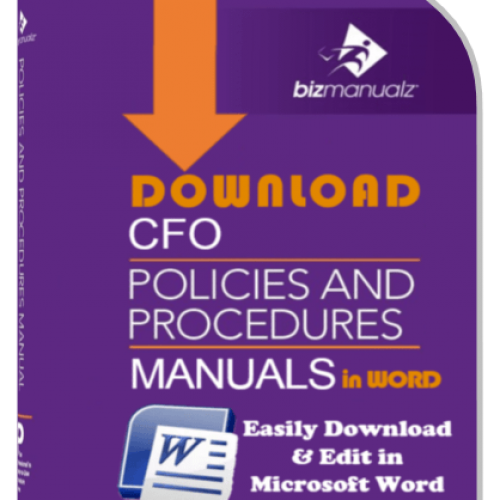 I discovered the [CFO Accounting Policies-Procedures Manuals] on your website. It made my project and life much easier! As quality business service agency who consult our clients on setting up a ISO 9001:2008 Quality Management System we have to rely on the best written procedures for our clients; Bizmanualz.com is the only company who fully satisfies this need, Our clients are very pleased. We will definitely purchase again. 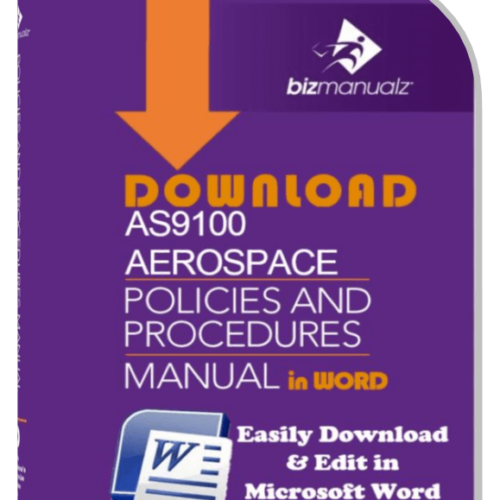 We are currently modifying the SOPs that you have in these manuals to fit our companies unique procedures. Very well written documents. They are not only Policies and Procedure. Reading these P&P is like having a consultant with you 24/7, it helps highlight every area of the business, thus it is unlikely to forget any issue related to each and every area covered by these Policies & Procedures. This product is a very helpful too, for us. It has saved us a lot of time rather than to reinvent the wheel. We are happy about it and we are making the best use of it. I would recommend it to some of the SME who wants to set up their procedures and policies on a solid ground. Excellent templates. They have saved me a great deal of time in starting to put together policies for a new organization. Detailed, structured and well organised P&P . Very Good! I am enjoying the product. First it helps us to identify policies we would have thought of needing. The old adage “You don’t know what you don’t know” rings true. Second, it is easy to revise a policy and to get input from appropriate team members, make the changes and then train members in the policy and procedure. We also know who is responsible for doing what. I have known Bizmanualz for many years. My ex-boss bought CFO Manuals and I was impressed by the useful contents, concise style then. I think it’s really great for us to learn from the systematical, well-arranged practices. I work with it aim to help to expand our horizon and to improve our existing internal control system. t is the basic overview that I expected. Some procedue documents apear to be out of date. I think that I recall seeing 2013 IRS forms attached to some of the documents. Just getting started with them but I LOVE IT so far! A good starting point with many ways to customize to our needs. I’m just working through the first manual now, Accounting. Am disappointed on the assumption that payroll is out-sourced. This function represents a significant element of our company and I’m forced to look for third party support for this portion of the policy development. Response sent to Customer: Thanks for your feedback. 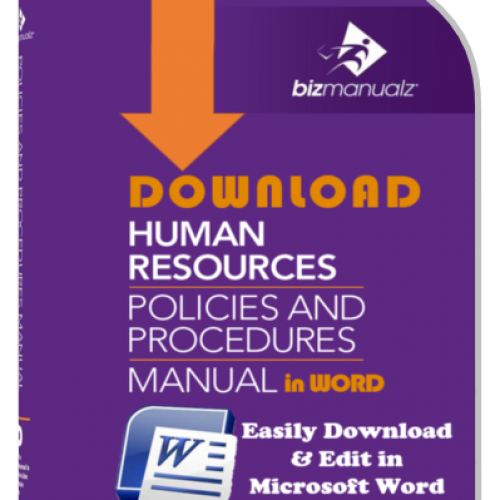 Payroll procedures are included in the HR Manual. There are 6 separate procedures that address Payroll and Compensation. Response from Customer: Wow. Thanks. So far the series has been helpful and user friendly.